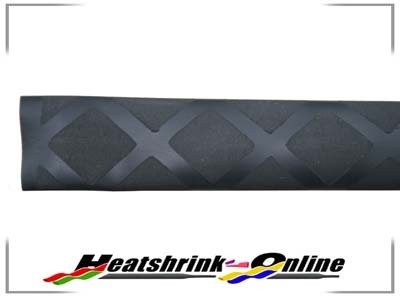 Special textured non-slip heat shrink tubing. Flexible, single thin wall, low shrinkage temperature. Manufactured from a specially formulated polymer which has undergone a surface treatment that provides a non-slip textured finish. Ideal for use as grips on sports equipment including racquets and fishing rods, health equipment, tools, machinery handles, hand rails, etc etc.